The posterior part of the nasal septum, which divides the nasal cavity in two, is bone-shaped and sometimes protruding outwardly from the bone septum segment in the dorsal bone structure. In this bone structure, which is usually accompanied by nasal septum deviations and is seen on the posterior side, the hard, dulled protrusions are called "bone spur formation / bone spur formation / osteophyte / nose bone spur / nasal bone spur" in this bone and cause painful stimuli. 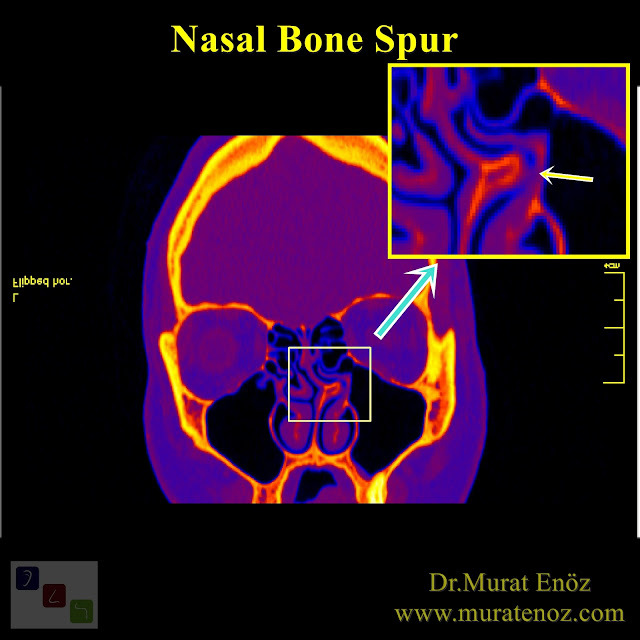 Bone spur formation is usually found as part of the nasal septum deviation. In other words, in addition to the nasal obstruction due to the nasal septum deviation and the statement about open mouth sleep, atypical headaches that are unexplained are thought to result in nasal pressure and contact end result, which is made by bone spur formation.